Diving into the pirate’s mind-set can help you to succeed in the workplace and life! 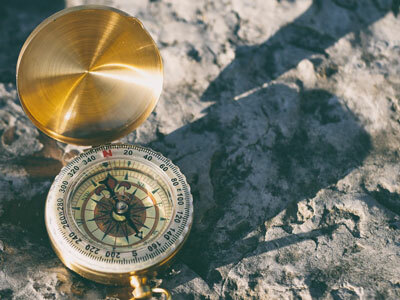 Pirates’ moral compasses notoriously do not point directly north, but there are some things we can learn from their “stop at nothing” type of attitude. Sam Conniff Allende, author of BE MORE PIRATE, shares the 5 Simple Stages of Change as defined by pirates. Rebel—Draw strength by standing up to the status quo. Rewrite—Bend, break, but most important rewrite the rules. Reorganize—Collaborate to achieve scale rather than growth. Redistribute—Fight for fairness, share power, and make an enemy of exploitation. Retell—Weaponize your story, then tell the hell out of it. The pirates questioned and challenged the established order, rebelled against the status quo, and then rewrote the rules. They came up with better alternative ideas and formed powerful communities of people who wanted to reorganize themselves in a new society. In these pioneering groups, the pirates made a point of fighting for fairness and inclusion. As they did this, they weaponized the art of storytelling and anticipated the idea of branding, crafting killer stories about themselves that helped magnify their reputation and establish their legacy. Of course they did all this alongside the rum, plunder, and looting you’re more familiar with, but it’s these five techniques that will be your basis for creating a Be More Pirate state of mind. In each of the five chapters that explore these behaviors we will keep checking in with the very best examples and achievements of groundbreaking pirates like Ben Hornigold, “Black” Bartholomew Roberts, and Mary Read, and inspirational modern-day pirates like Banksy, the Wu-Tang Clan, and Blockchain. Drawing on a mixture of pioneers old and new, you’ll understand what it means to be more pirate and be shown how to adopt a piratical approach of your own. 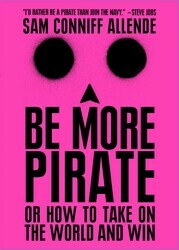 Find out more on how to live by the pirate rules in BE MORE PIRATE by Sam Conniff Allende! Excerpted from Be More Pirate by Sam Conniff Allende. Copyright © 2018 by author. Used by permission of the publisher. All rights reserved. Pirates didn’t just break the rules, they rewrote them. They didn’t just reject society, they reinvented it. Pirates didn’t just challenge the status-quo, they changed everyf*ckingthing. Pirates faced a self-interested establishment, a broken system, industrial scale disruption, and an uncertain future. Sound familiar?“I’d rather be a pirate than join the navy.”—Steve Jobs Pirates stood for MISCHIEF, PURPOSE, and POWER. And you can too. Be More Pirate unveils the innovative strategies of Golden Age pirates, drawing parallels between the tactics and teachings of legends like Henry Morgan and Blackbeard with modern rebels, like Elon Musk, Malala, and Banksy. Featuring takeaway sections and a guide to building your own pirate code 2.0, Be More Pirate will show you how to leave your mark on the 21st century.